While the quintessential road trip is usually more synonymous with America, that doesn’t mean to say that there aren’t plenty of incredible European road trips to enjoy too! Below you’ll find some of the best European road trips to take once in a lifetime. Iceland is renowned for its snow-capped scenery, volcanoes, ashy desserts, geysers and waterfalls, and the very best way to make sure you see as much as possible is to take the Route One road. This road trip is no easy feat at 800 miles long; you’ll need to leave at least a week, if not more, to enjoy this route through Iceland’s most spectacular scenery. Along the way you’ll get to see the likes of the hot springs at Myvatn, the north-east ash fields and enjoy whale watching at Husavik. Icy road conditions can sometimes be dangerous along this route, so make sure your RV is completely safe and prepared for every eventuality. For a greener scenic road trip, opt for a casual 110 miles along the Ring of Kerry driving route in Ireland. You’ll be greeted with the most amazing views of the Killarney National Park, MacGillycuddy’s Reeks Mountains as well as the beautiful beaches of Glenbeigh, with the ever-present Atlantic Ocean peeking through in the background. This route is best driven in the summer months as you’ll get to experience the landscapes in the most vibrant shades of green. Pack your RV with plenty of snacks and road trip essentials and hit the road! If you want to take regular stops along your drive on the Ring of Kerry, you’ll be pleased to know that the route is populated with plenty of rest stops, motels and cafes. This seven-day road trip begins in the Alpine town of Livigno and takes you through Munt La Schera Tunnel, through the 48 hairpin twists of the Stelvio Pass, along the Swiss border and back into Italy, skirting past the Dolomites and into the city of Bolzano. A total of 160 km will be driven on this road trip, and you certainly won’t need any excuse to park your RV up at the side of the road for beautiful views of the surroundings at every chance you get! Make sure to experience the enthralling thermal springs in South Tyrol, enjoy a short hike in the meadows of Stelvio National Park and gaze up in awe at regular intervals as you pass by some of the most iconic mountain ranges in the world. You’ll be greeted with quintessentially Alpine towns and villages along your way, so make sure you make the effort to stop regularly and admire the picturesque, postcard-perfect stops. Embarking upon on a road trip is sure to be one of the most memorable, and possibly even life-changing, experiences of your life. However, for you to ensure that you’re as safe, comfortable and careful as possible, there are a few road trip specific tips you should be aware of. 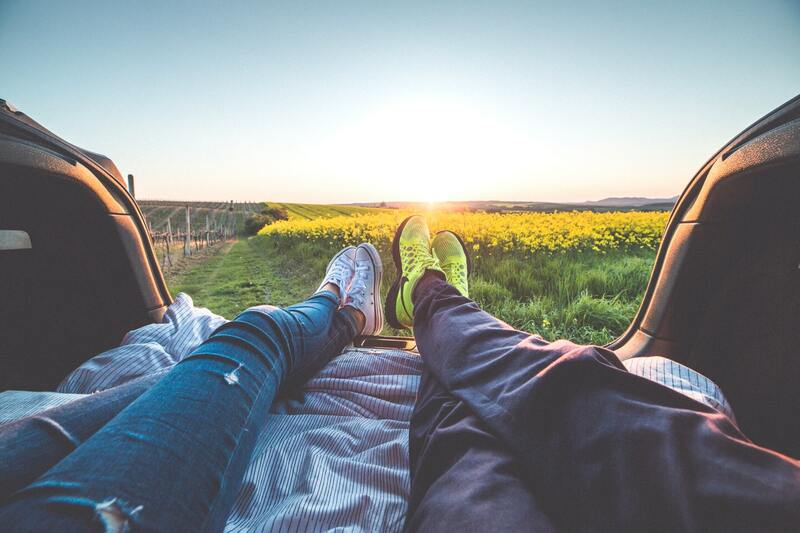 Whether you’re travelling solo, or with someone else, it’s imperative to ensure that you take regular breaks from driving so you don’t become lethargic and risk falling asleep at the wheel. It’s a good idea to try and stop every couple of hours to stretch your legs, grab something to eat and take in your amazing surroundings. While you may think that any old RV will do the job for driving, regardless of where you’re driving, you may be surprised to know that you could need a different one, depending on the type of road trip you’re planning. If you’re going to be driving through icy and snowy landscapes then you’ll need an RV that has suitable, strong tyres with plenty of grip on them. Your RV should also be suitable for the type of climate that you’ll be driving through. Don’t forget to check out information on RV portable waste tanks – as you don’t want to do anything to harm the glorious countryside you will be driving through. When travelling in an RV, you’ve probably either purchased it or rented it from a van-leasing company. You need to make sure that you bring any and all necessary documents with you when driving so that you can always be well prepared. You should always have your driving licence on you, as well as any necessary insurance documents regarding the RV itself. A road trip in Europe may well be a once-in-a-lifetime trip for many people, which is why you need to make sure it’s as safe and enjoyable as possible. Choose the right type of RV for the journey you’re planning and ensure that you always have all the relevant documents on you when travelling.